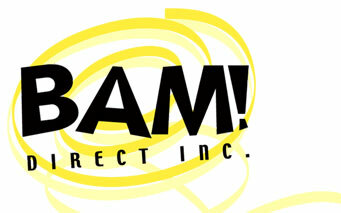 direct mail campaigns : BAM! Direct, Inc. Direct marketing is a sub-discipline of marketing focused on driving purchases that can be attributed to a specific "call-to-action". Direct marketing is distinguished from other marketing efforts by its emphasis on trackable, measurable results (known as "response" in the industry) regardless of medium. Direct marketers use a variety of media including catalogs, postcards, statement inserts, card packs, magazines and other mail. Direct marketers also use media such as door hangers, package inserts, magazines, newspapers, radio, television, email, internet banner ads, pay-per-click ads, billboards, transit ads, etc. If the ad in the medium asks the prospect to take a specific action--call an 800 number, visit a website, return a response card, place an order, complete a survey, etc.--then the effort is considered to be direct marketing. What's The Advantage of Direct Mail Marketing? One of the most powerful tools in marketing is direct mail. Direct mail gives companies the ability to be dynamic in reaching highly targeted potential customers. While some have argued that direct mail generally averages a 1% - 5% response rate – the question really is – can you identify highly qualified prospects for your campaign and deliver ROI. Direct mail, done right, can. Direct mail is an integral component to any targeted marketing program, and is here to stay. Email marketing, or using broadcast media to drive traffic to a website, simply cannot subsist without direct mail as a key component. Integrating multiple channels, including direct mail, is what delivers marketing thrust. BAM! Direct creates strategic, highly targeted direct mail campaigns utilizing database technologies that blow the doors off traditional campaigns of prior years. BAM! Direct resides on the cusp of current technologies that can be applied to solid direct mail strategies to deliver increased qualified response. With your business goals guiding us, we develop measurable direct mail efforts to ensure campaign success. The metrics behind the direct mail campaign are equally as important as the pieces developed for the campaign. It’s simply not enough to send attractive communications if it doesn’t translate into sales opportunities for your company. BAM! Direct focuses on direct mail campaigns that generate real results. The kind of results that are visible on a balance sheet. Strategic – integrated with overall business and marketing objectives. Creative – that is relevant, compelling, well written and designed. Targeted – reaching those prospects with the greatest propensity to respond. Measured Results – crafted to drive response and measurable results. Budget – planned to maximize the effectiveness of every dollar you put into your initiative. Contact us today to discuss how a strategically driven direct mail campaign can earn your business more business.